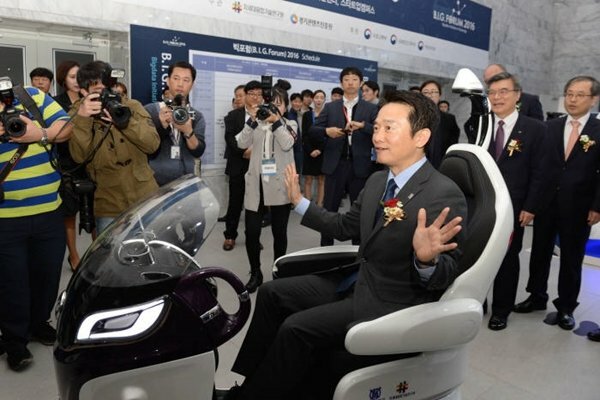 Self-driving cars are expected to appear in Pangyo Zero City (Pangyo Creative Economy Valley), which is located in Gyeonggi-do, at the end of next year. Gyeonggi-do, Ministry of Land, Infrastructure, and Transport (MOLIT), Korea Land and Geospatial Informatix Corporation (LX), KT, and BMW Group Korea made a business agreement to build Pangyo Zero City as a test site to demonstrate self-driving technology at Pangyo Center for Creative Econonmy & Innovation. Gyeonggi-do has been pushing to build a test site in Pangyo Zero City where self-driving cars are tested since last year. In result of this agreement, seeing an actual self-driving car on a road in South Korea is now one step closer. While MOLIT is going to support designation and vitalization of test sites for self-driving cars, LX is going to make highly-accurate digital maps that are needed for self-driving cars. In order to make such maps, LX is going to establish GNNS (Global Navigation Satellite System) infrastructure that provides detailed 3D information regarding location, altitude, and speed through satellites. Gyeonggi-do is going to be supported with technologies that can create information regarding location for these maps. Highly-accurate digital maps are 3D maps that are able to distinguish all of geographic feature that are near roads with margin of error less than 10cm. and are predicted to be used in variety of areas such as self-driving cars, AR (Augmented Reality), drones and others. KT is also supporting ‘implementation of 5G Smart City Pangyo’. 5G is 5th generation wireless telecommunication technology that is about 270 times faster than 4th generation LTE that is currently being used. It is heard that 5G technology is a technology that is a must for self-driving cars in order to send and receive maps and traffic information from another car, streets, and central control centers. “Due to this agreement, we will be able to see generation of self-driving cars and future of Pangyo Zero City even sooner.” said Governor Nam Kyeong-pil of Gyeonggi-do.